National symbols of India provide a unique identity to the nation and project a picture of it as a cultured country in our minds. Currency, flora and fauna and even the music have been assigned special symbols, instilling feelings of pride and patriotism among the citizens. The symbols have been chosen at different times. They have a unique meaning, symbolizing strength, purity, immortality, power, pride, and courage. 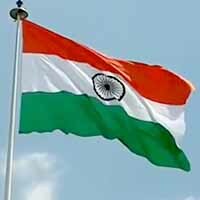 Flag of IndiaThe flag was adopted on 22 July 1947 and on 15 August 1947, it became the official flag of the country. It was designed by Pingali Venkayya. The national flag comprises three equally proportioned tricolour bands. The first band is of deep saffron which symbolizes courage. The middle band is in white color and represents purity, while the bottom band is green, implying fertility. The middle band also consists of a navy blue wheel with 24 spokes. The wheel is also called the Wheel of Law, Ashoka Chakra or Dharma Chakra. Jana Gana Mana It was officially adopted on 24 January 1950 by the Constituent Assembly as the national anthem of India. The song was written by the Bengali poet Rabindranath Tagore and later on translated by him from Bengali to English. It was first sung on 27 December 1911 in an Indian National Congress' session in Calcutta. The anthem is sung at all important national events of the country. The whole anthem takes 52 seconds to play, however, its shorter version, consisting of only first and last lines, can be played in 20 seconds. Vande MataramWritten by Bankim Chandra Chatterjee in a mix of Bengali and Sanskrit, the song has a total of 6 stanzas. The song first appeared in 1882 in his novel Anandamath. In 1950, the song's first two stanzas were adopted as the national song. Rabindranath Tagore was the first person ever to sing it. It was first sung in the political contest of Congress in 1896. Saka Calendar It was adopted as the national calendar on March 22, 1957. Its official usage started on the day of its adoption. The date is also known as 1 Chaitra 1879 Saka Era. The dates of the calendar are very similar to that of the Gregorian Calendar. It has lunar months and solar sidereal years. The calendar is based on the tropical solar years. It is also known as Hindu calendar. The National Emblem of India is the Lion Capital of Asoka at Sarnath. 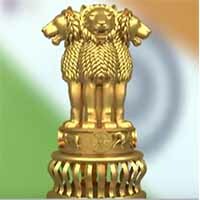 It was adopted by the government on 26 January 1950, the day India became a Republic. The Lion Capital consists of 4 lions with Dharma Chakra displayed in front of the whole structure. There is also a bull and a horse on the two sides of the wheel. Below the whole structure, there is a quote in Devanagari script which was taken from Mundaka Upanishad. The quote says "Satyameva Jayate", which means truth alone triumphs. The structure was first placed at Buddhist site, Sarnath by Emperor Ashoka around 250 BC. It came about to mark the place as the site where Gautam Buddha gave his first lesson of Dharma. The symbol represents pride, courage, confidence, and power." National Pledge The national pledge was adopted as the oath of allegiance by the government. Originally, it was written by Pydimarri Venkata Subba Rao in Telugu in 1962. Later on, it got translated into a number of languages. It was first read in 1963 in a Visakhapatnam school. It is directed by Central Advisory Board on Education to introduce the practice of singing it in schools. The pledge can also be found written in opening pages of school textbooks. It is usually recited on national events such as Republic Day and Independence Day and celebrations in colleges and schools. Mango The mango first originated in India. It was adopted as the national fruit. It is often termed as a king of fruits and enjoyed by people of all ages. There are over 100 varieties of the fruit known, classified on the characteristics of shape, colour, and size. The fruit has also been a part of a number of poets' artistic works. 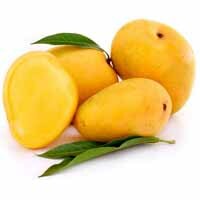 It is rich in nutrients like vitamin A, C, and D and has huge health benefits. It is grown almost all over the country. Also, every year International Mango Festival is celebrated in the capital Delhi, where all the Indian varieties of the fruit are displayed. Ganga Ganga was named as the national river in November 2008. Its river basin is the most populated in the entire world. The river originates from Gangotri Glacier in the Himalayas. It is called as Bhagirathi river at its origin point. It has a huge religious significance and is also considered a very sacred river by Hindus. 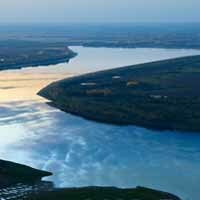 It is also the longest river in the country, covering over 2500 km of valleys, mountains and plains. It empties into the northeast part of the Indian Ocean, Bay of Bengal. 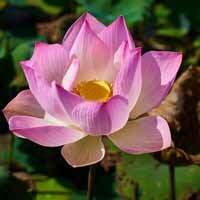 Lotus Lotus holds a very sacred place in Indian mythology and has always been considered auspicious in Indian culture. It symbolizes purity and cultural pride. It also represents knowledge, fertility, good fortune, honor, long life, purity of heart and mind and prosperity. It is used all over the country for religious practices. 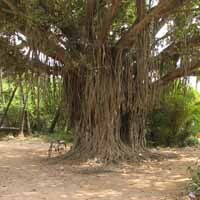 Indian Banyan Banyan tree is the national tree and symbolizes immortality. The tree roots spread over a large area in a period of time. It represents longevity and has also been a part of Hindu mythology. Characterised by huge branches, strong trunks, and deep roots, its lifespan is more than any other tree. It is often planted near temples and is famous for providing shelters. It also has a huge medicinal value and is beneficial for treating a number of diseases. In Sanskrit, it is also called Kalpavriksha and according to ancient stories, it is considered a divine tree which can fulfill wishes. It also serves as a gathering point for meetings and Panchayats in villages. It can be found all over the country. Royal Bengal Tiger The royal Bengal tiger can be found only in India and has been adopted as the national animal of the country. The carnivore population is present all over the country. It stands out with its bright yellow stripes and represents strength, enormous power, and pride. Also, more than half of tiger population of the world is found in India. 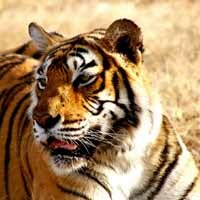 A total of 23 tiger reserves have been established in India for protection and safety of them. Ganges river dolphin The Indian subcontinent has two species of river dolphin, one is Indus river dolphin and the other is Ganges river dolphin. The latter is adopted as the national aquatic animal of the country. 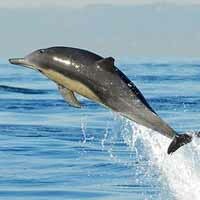 It is characterised by the flexible and sturdy body and has low triangular dorsal fin and large flippers. It can weigh up to 150 kgs. Females are generally bigger than their males counterparts. Its calves are chocolate brown in initial stages and later on turn greyish brown. It survives only in fresh and pure water. It is also deemed to be the oldest creatures of the world. However, now it is counted among the endangered species and many conservation works have been launched for their protection. Indian Peacock Peacock is indigenous to the country. It symbolizes elegance and represents the unity of all colors. The bird has a great significance in Indian culture as well. The government of India designated the bird as the national bird on February 1, 1963. 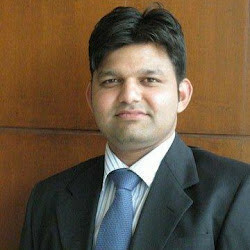 The decision was taken after popular opinion in the press and views of different state governments. 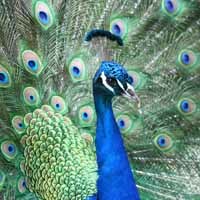 The peacock symbolizes holiness, prettiness, and pride. It is characterized by the slender and elongated neck and big feathers. The male ones are more colourful as compared to female ones. They often spread their feathers and dance in rainy seasons. In Hindu mythology, the bird is also considered as the vehicle for Lord Muruga. Indian Rupee The official currency of the country is Indian Rupee. 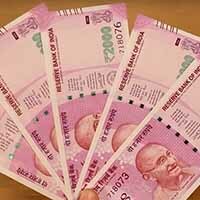 The Reserve Bank of India controls the issuance of the currency. The rupee symbol is designed by Udaya Kumar Dharmalingam, an assistant professor at IIT Guwahati. The design is based on Indian tricolour. The symbol is derived from Devanagari consonant "र". The coins carrying the rupee symbol was issued in 2011. 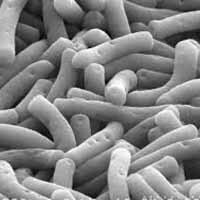 Lactobacillus Delbrueckii The national microbe of the country was announced to be Lactobacillus delbrueckii by India's Minister of State for Environment and Forests, Jayanthi Natarajan, on October 18, 2012. The microbe was chosen by kids who were on the train - Science Express Biodiversity Special. National symbols help our country to express its identity in a truly unique fashion and create an unparalleled image in front of the world.